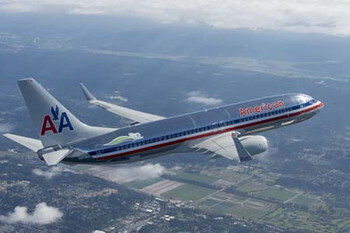 " Boeing (NYSE: BA) and American Airlines today showcased a Next-Generation 737-800 airplane known as ecoDemonstrator in Washington, D.C., to highlight testing of environmentally progressive technologies. The visit to the nation's capital follows extensive flight testing in Glasgow, Montana, where it flew a series of missions designed to test and accelerate advanced technologies that increase fuel efficiency and reduce airplane noise. Top officials from Boeing, American Airlines, and the Federal Aviation Administration (FAA) held a joint news conference at Reagan National Airport to highlight innovation and collaboration among government and industry. 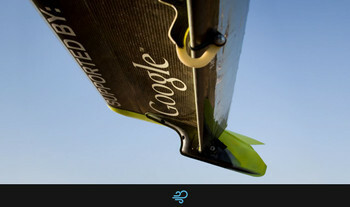 Other technologies on the 2012 ecoDemonstrator airplane include variable area fan nozzles, active engine vibration reduction, a regenerative fuel cell, and testing of flight trajectory optimization to enable more efficient routing for fuel savings. With fuel now the leading operating expenditure for airlines worldwide and increasingly stringent environmental regulations, improving fuel efficiency and reducing carbon and noise emissions is a top priority for the aviation sector.
" The seventh Lindbergh Prize for Electric Aircraft focuses on the vision for integrated electric power. energy from the rooftop solar cells to not only provide power to the aircraft but also the hanger itself and excess energy to feed back to the power grid.
" 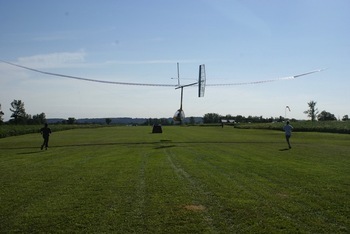 The electric-powered Elektra One from PC-Aero received the Lindbergh Prize for Electric Aircraft Vision Award on Friday, July 29, 2011, at the giant EAA AirVenture Oshkosh 2011 air show in Oshkosh, Wis. The award recognizes the aircraft system, which includes wing-borne SolarWorld photovoltaic cells to extend flight time as well as a charging hangar powered by SolarWorld solar "
max. endurance	over 3 hours "
続きを読む "PC-Aeroの電気飛行機 エレクトラ・ワン Elektra One、リンドバーグ飛行機賞の電動飛行機賞を受賞"
As much as we would love to keep flying the aircraft, the failure of the drive line on the last flight of the day on August 2nd reminded us of the reality of the project. Fortunately the line broke in such a way that the wings were spared, but there are many parts where we have seen fatigue wear, and the risk of destroying a historical artifact is not worth the reward. Additionally, the pilot's training cycle, tapering period and weight loss phase (18 lbs in 4 weeks) were very specifically timed for the flight, and any further flights this season would be unlikely to result in longer records.
" 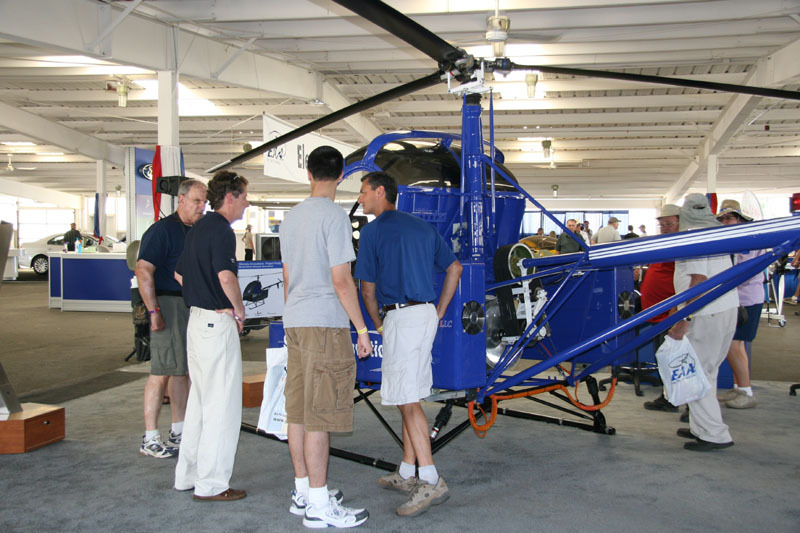 Sikorsky Innovations, the technology development organization of Sikorsky Aircraft, today officially introduced “Project Firefly,” an all-electric helicopter technology demonstrator, at the Experimental Aircraft Association (EAA) AirVenture exhibition. Sikorsky Aircraft is a subsidiary of United Technologies Corp. (NYSE:UTX). The Firefly Technology Demonstration Aircraft at EAA is part of the world symposium on electric aircraft. The demonstrator is one of the main attractions in the Aviation Learning Center along with other state-of-the-art commercially available and prototype electric aircraft. In building the demonstrator, the Innovations team replaced the legacy propulsion system of an S-300CTM helicopter with a high-efficiency, electric motor and digital controller from U.S. 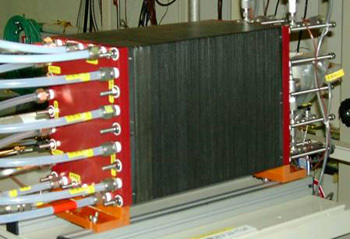 Hybrid, coupled with a lithium ion energy storage system from Gaia. Integrated sensors provide real-time aircraft health information to the pilot through a panel integrated interactive LCD monitor. Eagle Aviation Technologies, LLC, executed the custom airframe modifications and assembly of the demonstrator aircraft. The demonstrator will feature a 190-horsepower electric motor, a motor controller, a battery system, and cockpit controls. First flight is anticipated later this year, upon completion of ground tests and safety of flight reviews in accordance with Sikorsky standard practice for all aircraft programs. 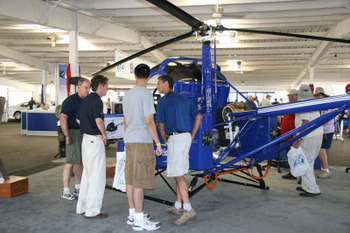 続きを読む "シコルスキー・イノベーションズ Sikorsky Innovations社、電動ヘリコプターのデモ機 Sikorsky Firefly prototype- EAA 2010をお披露目"
・Successful Maiden flight for SolarImpulse!
" This morning at 10:27, the Solar Impulse HB-SIA took off from Payerne (VD) airfield on its maiden flight. Under the eyes of thousands of spectators from all over Switzerland, Solar Impulse HB-SIA slowly climbed up to 1200 meters. The next 87 minutes Solar Impulse test pilot Markus Scherdel spent familiarizing himself with the prototype’s flight behaviour and performing the initial flight exercises before making the first landing on the Vaudois tarmac. The execution of these various manoeuvres (turns, simulating the approach phase) was designed to get a feel for the aircraft and verify its controllability. “This first mission was the most risky phase of the entire project. 1h27 of intense emotion after 7 years of research, testing and perseverance. Never has an airplane as large and light ever flown before! 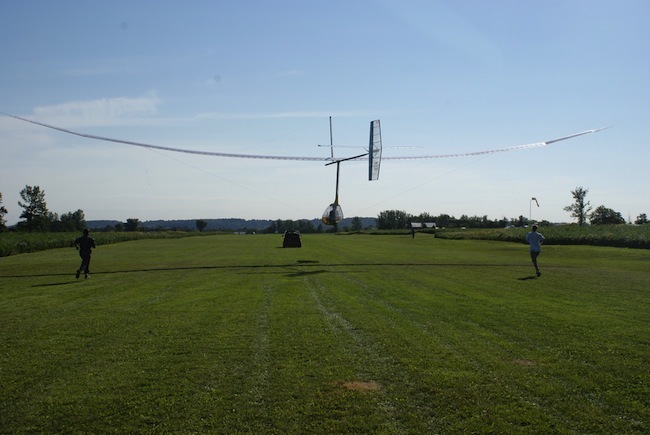 The aim was to verify the prototype’s behaviour in flight and to test its reaction to various manoeuvres. The success of this first flight allows us to envisage the further program with greater serenity!” said a delighted Andre Borschberg, CEO and co-founder of the project. 続きを読む "ソーラーインパルス Solar Impulse。祝！　テスト機により約1時間半のファーストフライト"
" Visionary concept work for Samsung C&T explores the future of travel and transport. Leading design and innovation company Seymourpowell is today unveiling full details of its visionary transportation concept, Aircruise - a giant, vertical airship powered by natural energy and designed to carry travellers in style and luxury. Originally a self-generated project, Seymourpowell's Aircruise is the concept design for a hotel in the sky, with low passenger numbers and huge internal spaces offering room for living, dining and relaxing, as well as scope for dramatic and inspirational public spaces. The initial design proposes a bar/lounge zone, four duplex apartments, a penthouse and five smaller apartments. 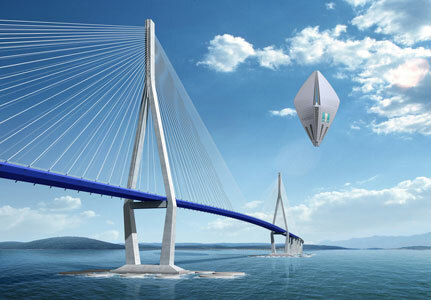 Lifted by hydrogen and powered by solar energy, the Aircruise concept also has obvious environmental benefits. Seung Min Kim, design director at Samsung C&T commented, "This was a dream concept project for us, helping to realise a future of sustainable buildings combined with innovative and luxury lifestyle. In an age when environmental impact is a key consideration for architecture, we are keen to extend this vision of the future by searching for solutions that can be realised by 2015 - the year that many futurologists foresee as the turning point for the future." Although only a conceptual proposal, the transportation design team at Seymourpowell developed a detailed and achievable technical specification for the craft. See below for further technical details. From the docking rig at the base to the tip, the ship is 265 metres tall. Hydrogen, the lightest gas, is used as the lifting gas, and is capable of lifting around 1.2Kg per cubic metre of volume. Large PEM hydrogen fuel cells will provide on board power and some drinking water. The volume of the main envelope in the ship is calculated at 330,000 cubic metres, which equals 396,000 Kg of available lift at sea level (1,000Kg = 1 Tonne (t)). Available lift excess is therefore 18-20t or 20,000kg of lift. 続きを読む "豪華でエコな飛行船による空の旅の提案　Seymourpowell Aircruise Concept"
続きを読む "ソーラーインパルス Solar Impulse、試作機を今月予定されているテスト飛行のためにスイスのペイエルン Payernenに移送"